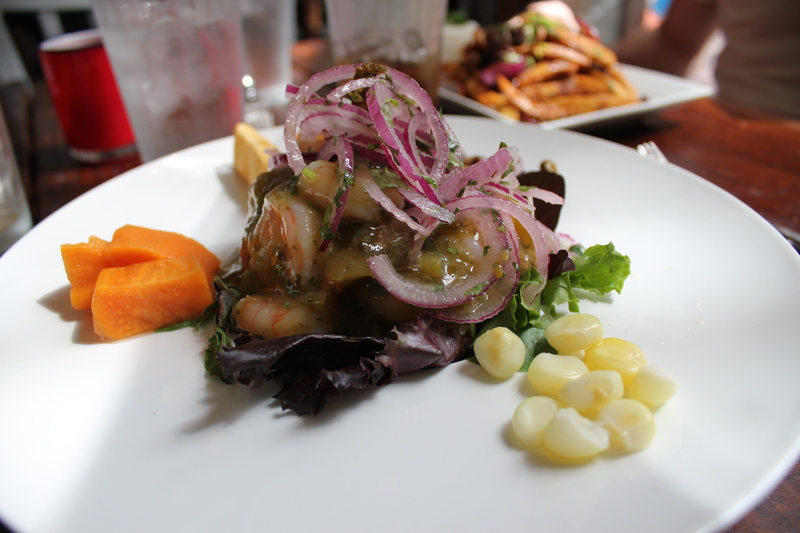 Those who have visited http://about.me/miianiskanen have maybe noticed a photo of a delicious-looking ceviche dish. It was taken in Miami Beach at a restaurant called Bolivar. Bolivar became our usual lunch place during our US holidays in May and June last year and the food and service were always tip top. At that time of the year the weather was already hot and humid, and to eat something so fresh, healthy-tasting yet filling felt like a miracle. We loved Bolivar! Paris is an excellent place to taste many different types of food but what it lacks is Latin American cuisine! If I could, I would like to return to Bolivar tonight and have the Peruvian-Colombian Bolivar Ceviche as a starter and for the main course I would choose Lomo Saltado, a Peruvian dish that my husband really liked that consists of diced beef sauteed with onions and tomatoes. Instead, I will have to stick to what Paris is excellent at: couscous and tajine. I think we will head to a North African restaurant tonight for lamb tajine with figs and almonds! 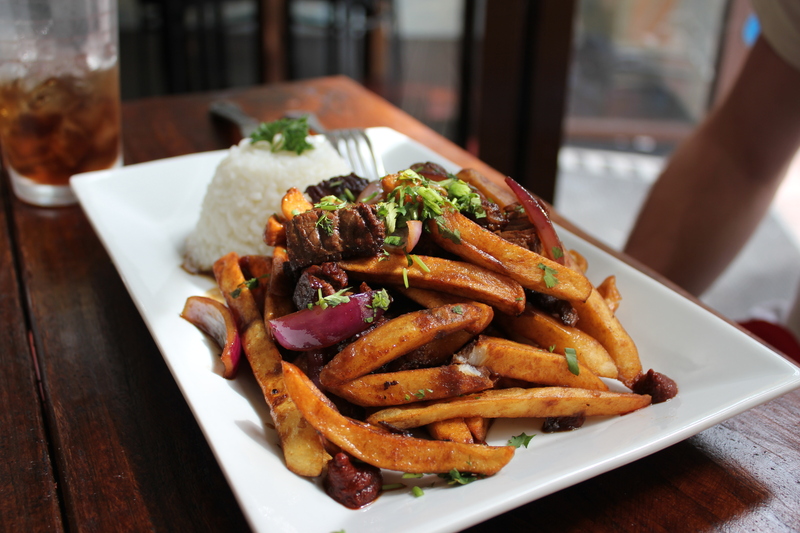 “Lomo Saltado”, another dish from heaven. This entry was posted in Uncategorized and tagged food, Miami, restaurant, USA on January 25, 2013 by Miia.